Why won't the Fed raise interest rates? The U.S. Federal Reserve pulled out all the stops for the Great Recession. But when the next recession comes, the Fed's toolkit is looking rusty. 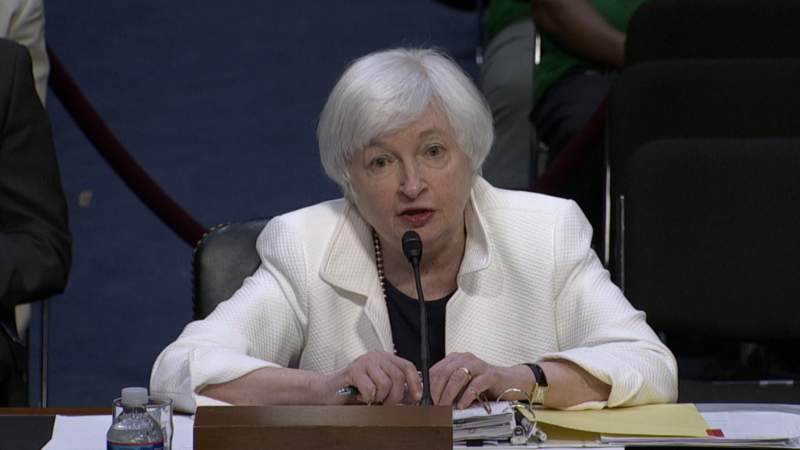 "If there were to be a negative shock to the economy...we don't have a lot of room using our traditional tried and true methods to respond," Fed Chair Janet Yellen told Congress Tuesday during her semiannual testimony on the U.S. economy. To be clear, Yellen and the Fed don't anticipate a recession this year. But if one happens in the next few years, as some experts expect, the Fed's playbook is running out of pages. At least the top official of America's central bank admits to that. And others agree. "There's not a lot options left," says Sam Bullard, senior U.S. economist at Wells Fargo. "There's less maneuverability than where we've been in the past when it comes to [economic] downturns." Here are some of the Fed's possible options, why they would be used and why they're not great options now. Why would the Fed do this: Lowering interest rates would make money cheap. The hope is that it would encourage businesses to borrow money, hire new employees and invest in their businesses. When did the Fed last do this: December 2008. Former Fed Chair Ben Bernanke cut rates to zero to light a fire under the economy even as it spiraled into recession. What's the problem with this: Interest rates are already very low historically. Right now the Fed's key interest rate is basically next to zero at between 0.25% - 0.50%. So cutting rates wouldn't do much and it would be a reversal from the Fed's rate increase last December. There's another issue. Many central banks around the world are cutting interest rates into negative territory and they're not seeing the results they hoped for. 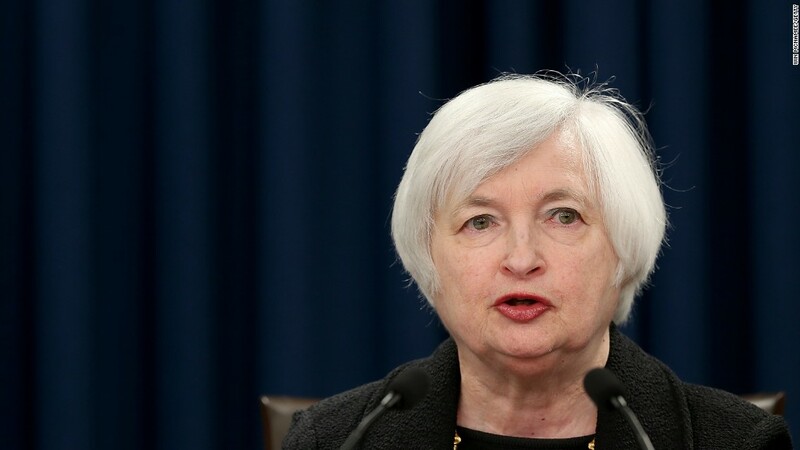 Yellen admitted Tuesday the Fed can use negative interest rates, but she doesn't want to. Why would the Fed do this: Similar to cutting rates, the hope is that buying gigantic sums of bonds would help keep long-term interest rates low for borrowing instruments like mortgages. Low mortgage rates would hopefully incentivize more prospective home buyers to buy a new house. What's the problem with this: QE arguably helped the economy recover, though its legacy remains very controversial. And other central banks, like the European Central Bank, aren't having much luck achieving the results they want with QE these days. Why would the Fed do this: To encourage people to spend money, which would ideally grow the economy. The idea is that the Fed writes a big check to the Treasury Department, which then essentially gives cash to individual Americans via big tax breaks. When did the Fed last do this: Never. The concept of helicopter money was introduced by famed economist Milton Friedman in 1969. Bernanke once talked about it in a speech and was nicknamed "helicopter Ben" afterwards. But there's no American precedent for helicopter money. What's the problem with this: It's an extremely uncertain if giving out cash would spark a spending spree. Yellen says it's only an option in rare circumstances. The problem is that it's one of the few options it has left after cutting rates and QE.